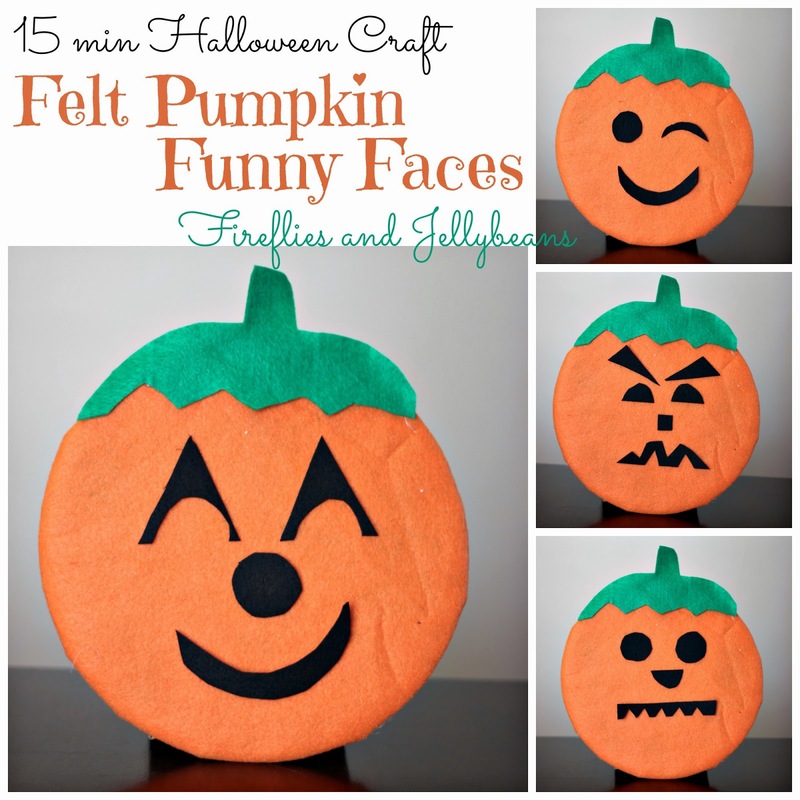 Here is a great Halloween craft that you can do in 15 minutes! And it works as both Halloween decor AND a toy! Great for the kiddos! 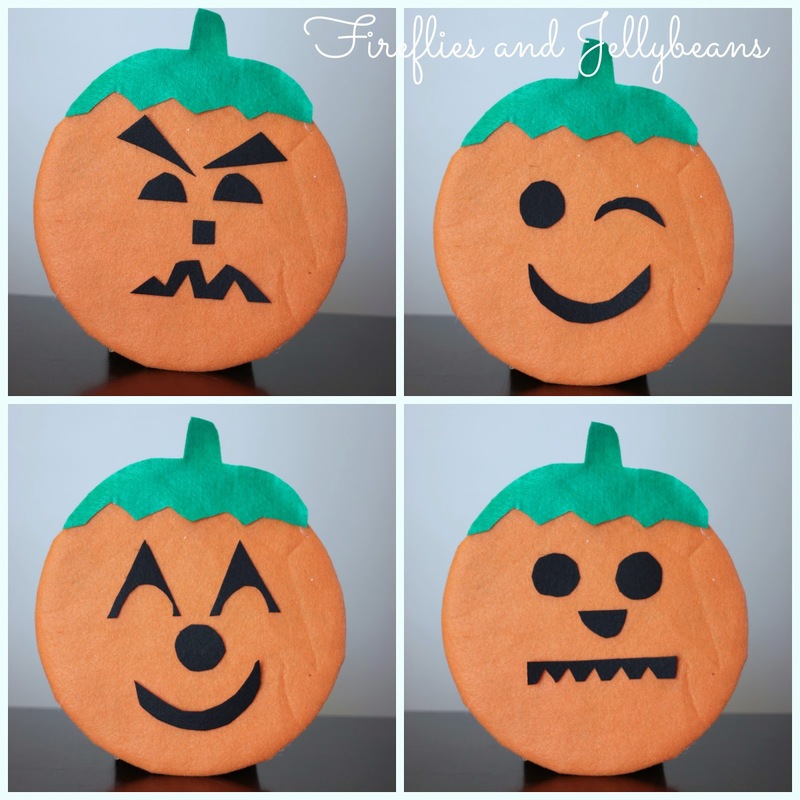 My Kids love the Funny Faces magnet toys and I knew that they would love this too! 2. Hot glue the orange felt to the cardboard circle overlapping the slits. 3. Hot glue the small box to the back of the circle. This makes it stand up and also provides a place for all the face shapes to go. 4. 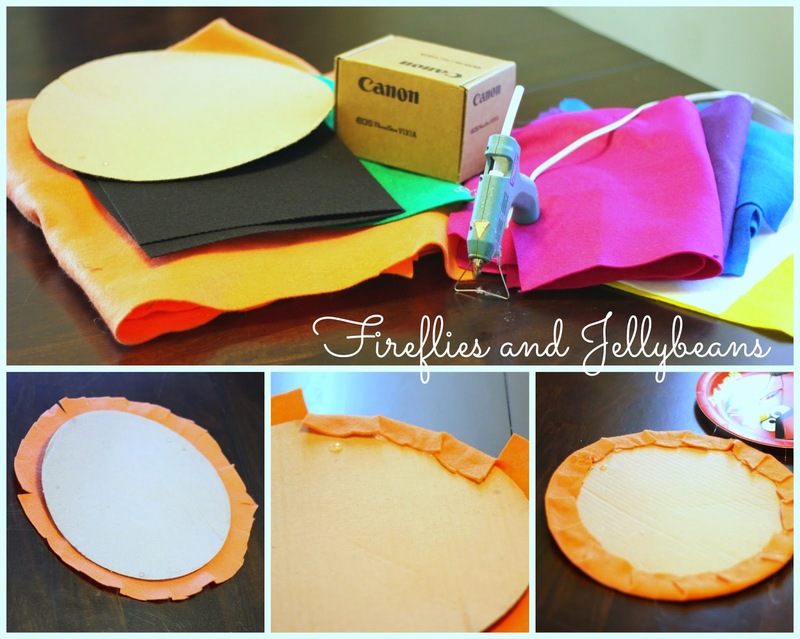 Cut out a steam shape from the green felt and hot glue it to the top. 5. 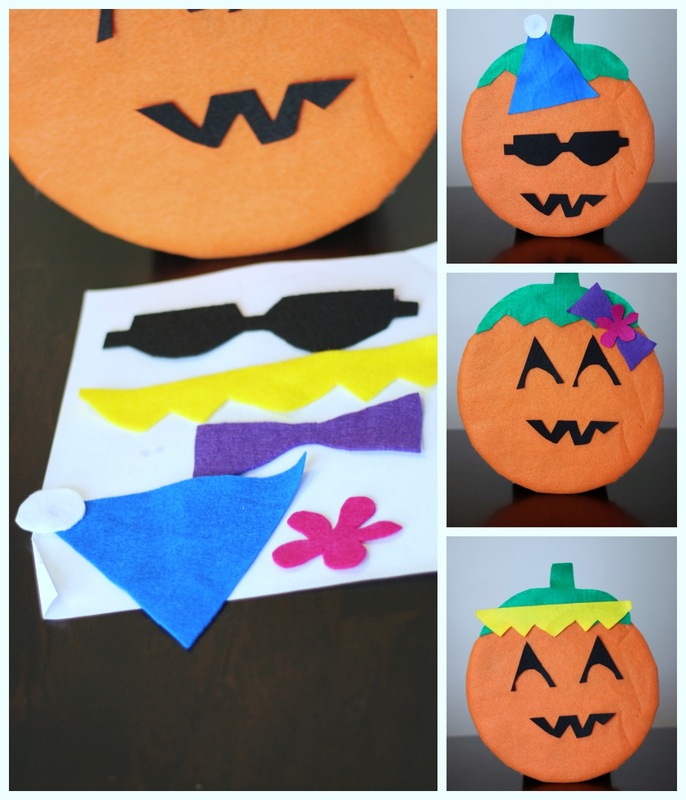 Cut out simple shapes for the pumpkins eyes, mouth, nose, eyebrows, etc. 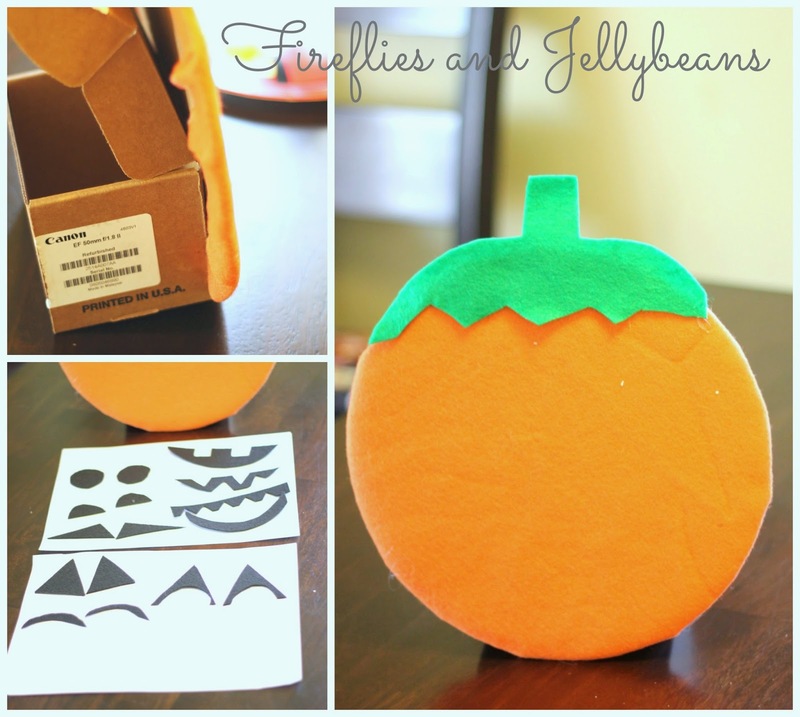 Keep the shapes super simple like you would see on a pumpkin face. If you really feel crazy you can add some accessories! I added a hat, sunglasses, bow, flower and blond hair. 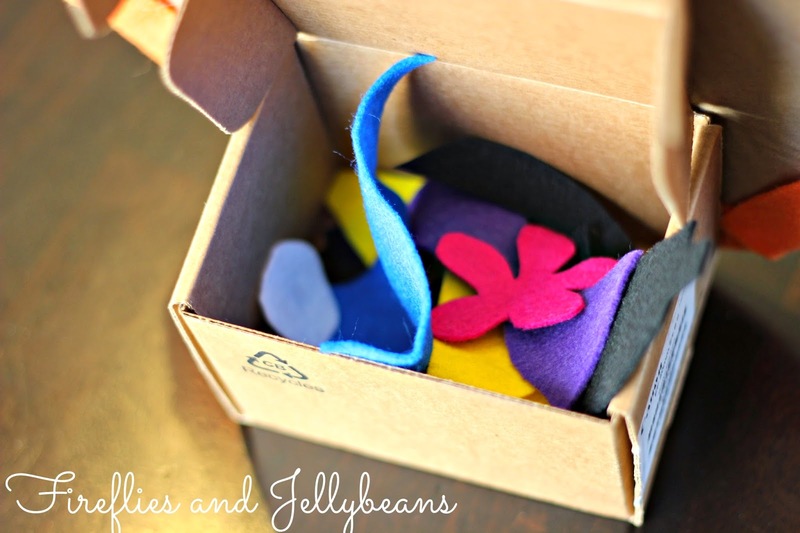 And when you are done all the felt pieces can go right into the box! I love this! Thanks for joining up!